The leader of a glitzy Singapore megachurch convicted of misusing nearly $20 million in church money to advance his wife's music career escaped a harsher prison term Thursday as a court rejected demands to reinstate his original sentence. The Court of Appeal ruling puts an end to the long-running case involving millions in church money and raunchy music videos featuring the wife of City Harvest Church leader Kong Hee alongside Hollywood stars. Kong and five other church leaders were in 2015 convicted of using Sg$24 million ($19.8 million) from a church building fund to help Kong's wife, Sun Ho, 45, break into the English-language market. 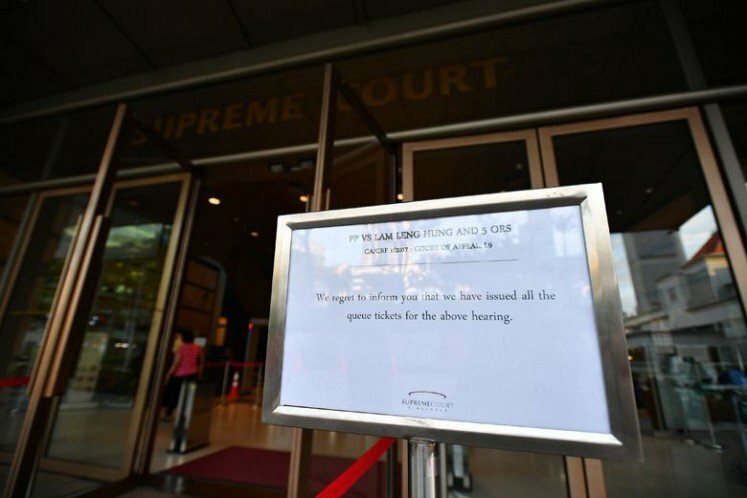 They were also found guilty of misappropriating another Sg$26 million from the church to cover their tracks with a complex web of financial transactions. Kong was sentenced to eight years while the other five received jail terms ranging from 21 months to six years. With its heady mix of religion, pop and fraud, the case fascinated Singapore, which prides itself on its tough stance on corruption. The church leaders' sentences were reduced on a technicality last year by the High Court, with the 53-year-old senior pastor's jail term cut to three-and-a-half years. This triggered a storm of criticism, with more than 4,000 people commenting on it on the Facebook page of local broadsheet The Straits Times. 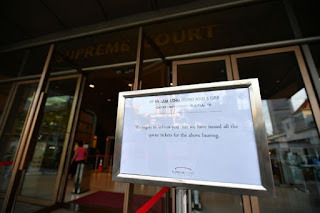 State prosecutors, who said the case involved the largest amount of charity funds ever misappropriated in Singapore's legal history, had sought for the harsher sentences to be reinstated but were denied by the apex court on Thursday. Four church leaders, including Kong, are currently serving their sentences, one has finished her seven-month term and another will start serving his sentence on February 22. Kong looked visibly thinner when he and the other convicts were brought to the dock in purple prison overalls, with their hands and feet cuffed and shackled. He was calm and occasionally waved and nodded to the public gallery packed with supporters who had lined up since 3:00 am to get a seat. In a 2007 music video called "China Wine" that came out on YouTube, a scantily-clad Ho appeared with rapper Wyclef Jean. In another video, for a reggae-tinged song entitled "Mr Bill", Ho appeared as an Asian wife who sings about killing her African-American husband, played by supermodel Tyson Beckford.